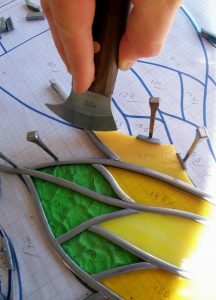 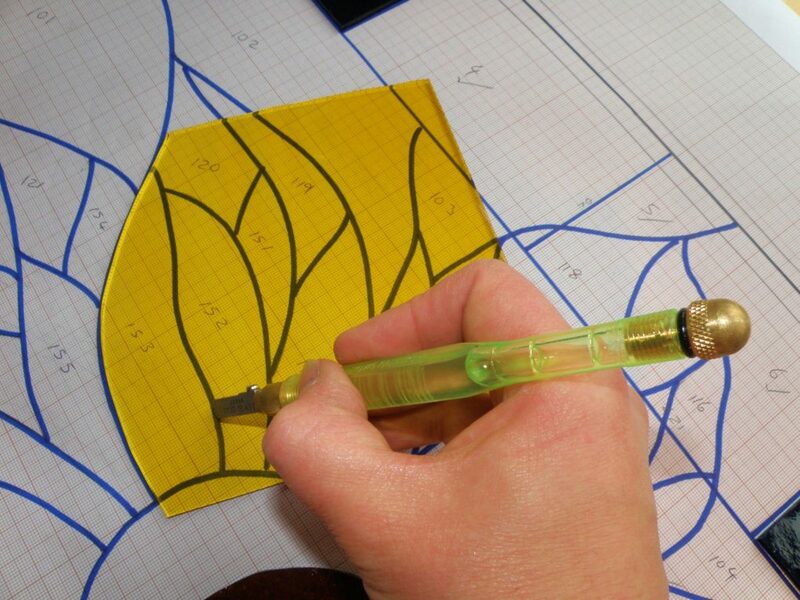 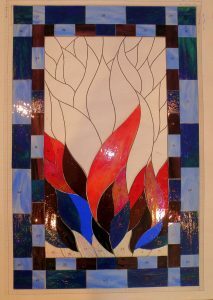 Each piece of glass is cut separately, by hand, then the soft, pliable lead is wrapped around each piece of glass to build up the design. 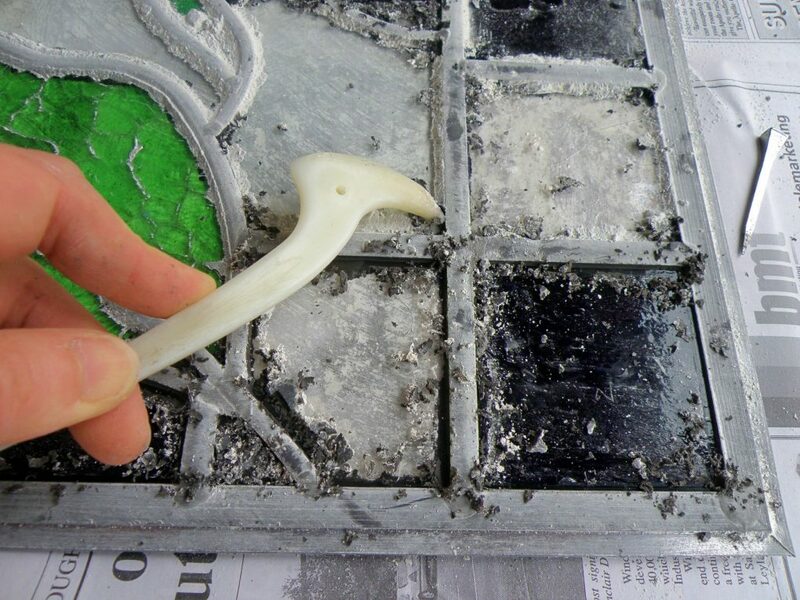 Each piece of lead is also cut by hand, mitred to fit perfectly and pinned in place with old fashioned horseshoe nails. 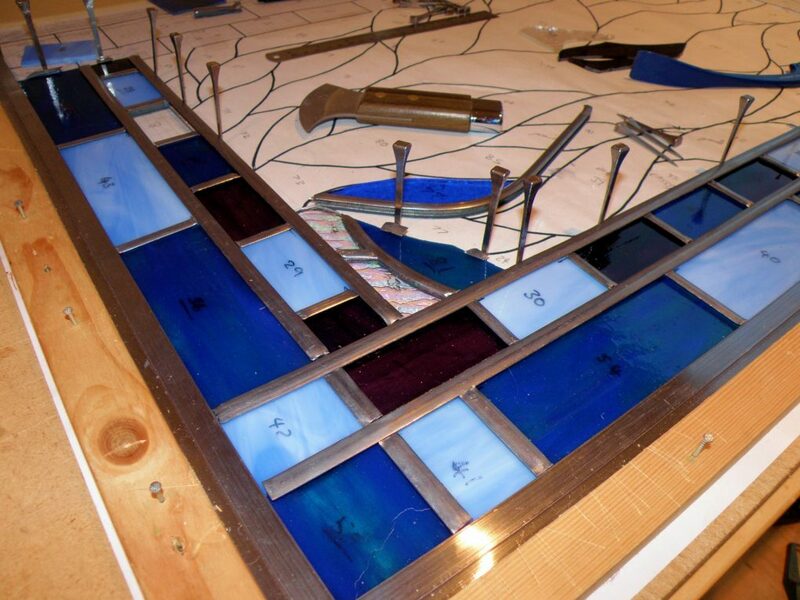 The panel is soldered at the points where the lead meets and then cemented which makes it strong and waterproof. 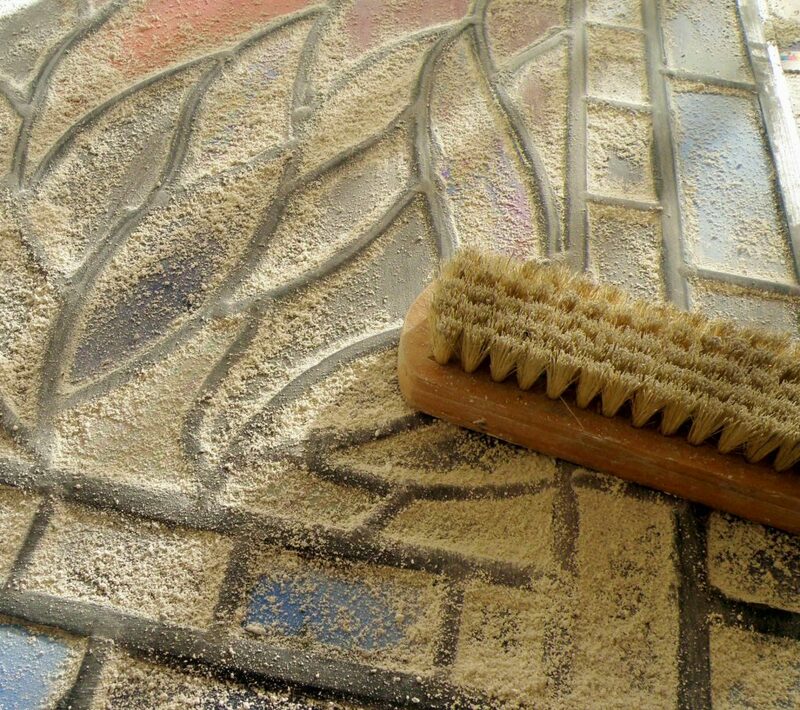 The cement drying time depends on the size of the panel and the ambient temperature. 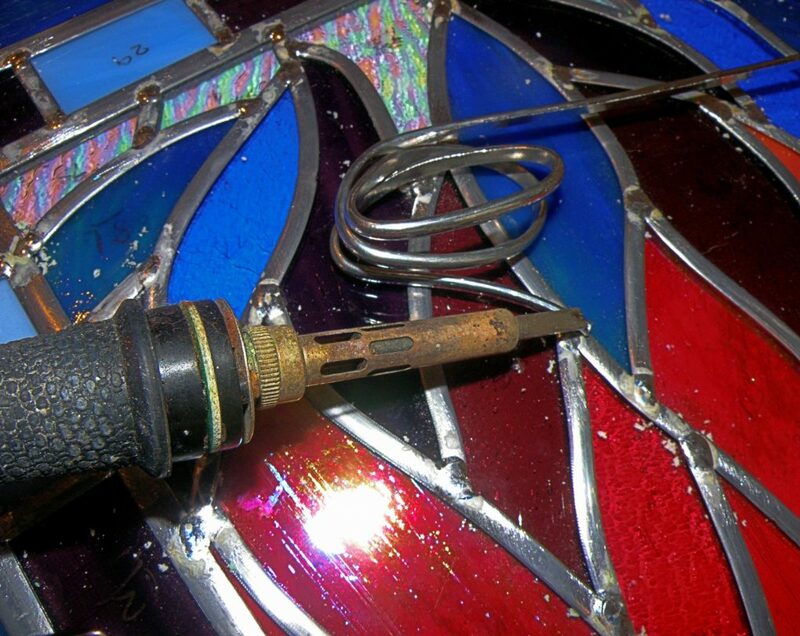 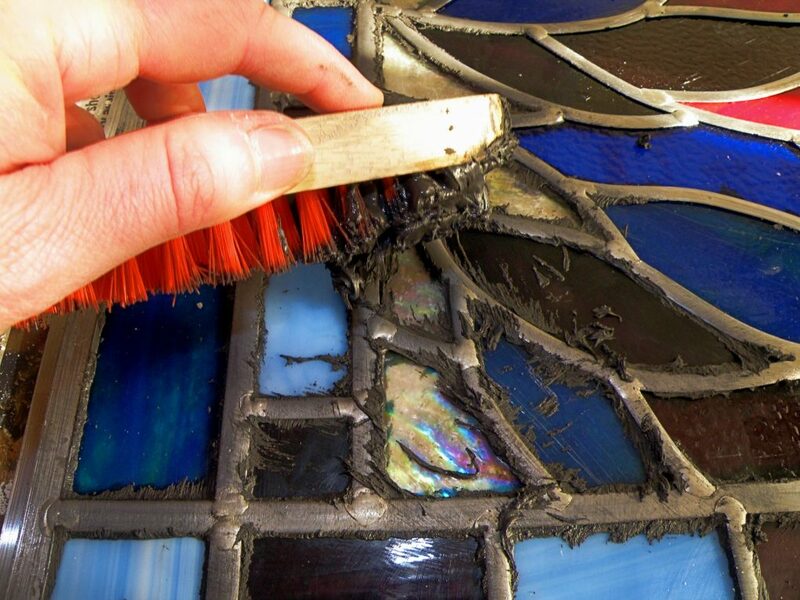 Once it’s dry, the glass is cleaned and the final step of applying a darkening polish to the lead.